Benztown, an international radio imaging, production library, programming and voice-over services company, today announced that it is sponsoring the third annual Iron Imager Contest, an international radio imaging contest where production professionals compete for cash and other prizes and the coveted title of World’s Best Imager. Challengers will demonstrate their imaging skills using audio ingredients from Benztown’s production libraries, paired with contestants’ original scripts. 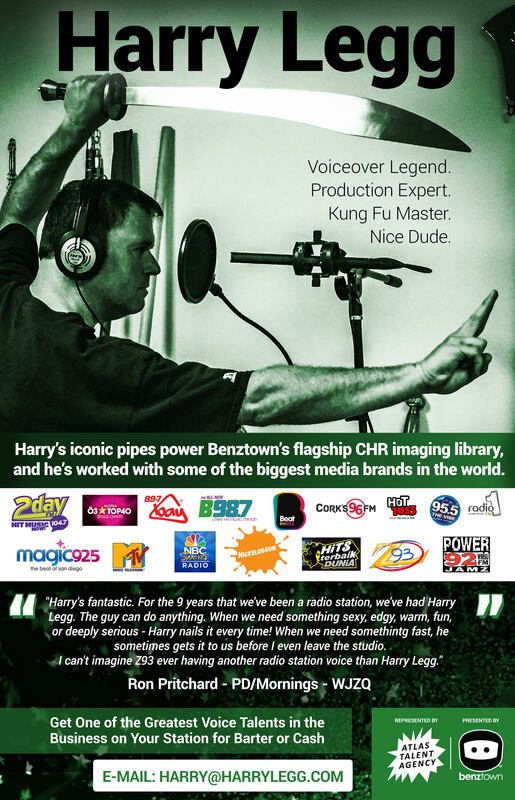 Benztown has also committed additional resources to enhance challengers’ submissions, offering for free the voice talents of many of Benztown’s newest world-class voice talent, including Correy Webb, Grant George, Jessica Gee and Jules Riley. The first and only competition of its kind, the Iron Imager contest begins today and runs through April 10, 2014. Benztown’s Iron Imager Contest is open to all radio imaging, production and programming professionals (18 or older) and will be judged by top producers and programmers from the U.S. and around the world. The winner of Round 1 will face last year’s Iron Imager, Dan Kelly (Creative Services Director, WPLJ & NASH-FM/New York), in a head-to-head live competition during the All Access Worldwide Radio Summit (April 2-4, 2014) in Hollywood, CA. To enter and for full contest rules, visit the official Iron Imager Contest 2014 website at www.benztown.com/ironimager. Final pieces must be submitted by 11:59 PM (Pacific) on March 10, 2014.